After she removed the wallpaper in her kitchen and put in a new tiled back splash, my client was not sure what she wanted to do on the walls. She tried several different paint colors on the walls, but couldn’t decide which color she liked. She thought about putting a pattern on the wall like a stencil, but didn’t know which stencil would work. Should she paint or do a stencil? 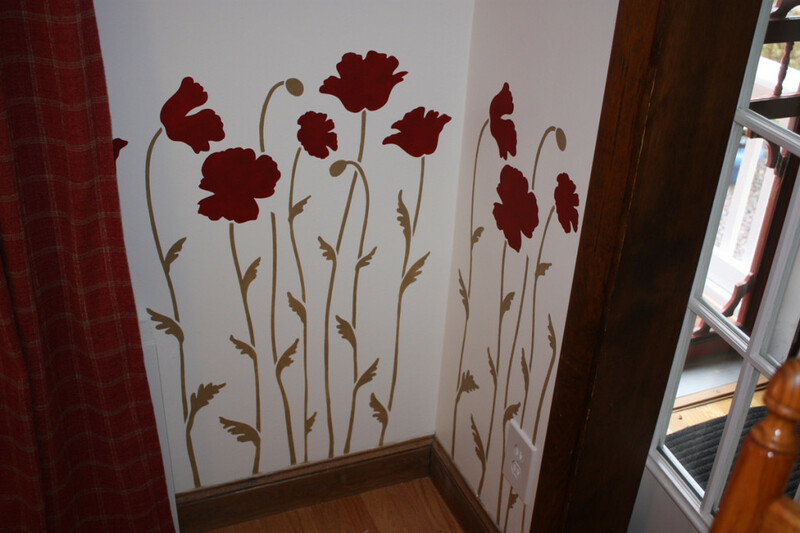 I had already done a stencil in her bathroom the year before that she absolutely loved. We went through the process of choosing paint colors, and decided on a simple off-white background color that complimented the tiles. She didn’t want anything too dark or a color that would clash with the other rooms that were open to the kitchen. After deciding on a stencil, we browsed through some stencils on-line. 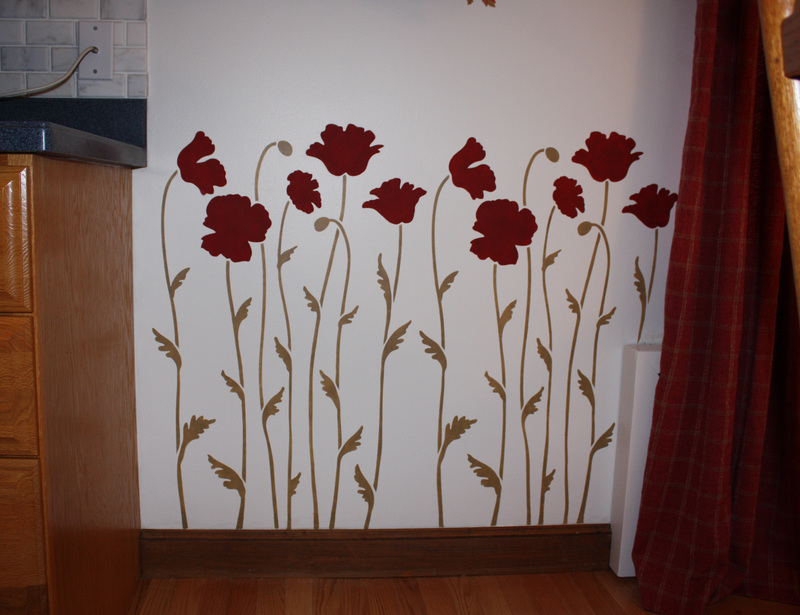 When saw this colorful poppy design, she decided do to this particular design in her kitchen. I was very excited because this design was just right for the space. The colors we chose were perfect and complimented the color palette in the other rooms. It’s now a bright and cheerful room that she loves walking into every morning!